With SPIDER-MAN: HOMECOMING becoming available today for digital download (Wait for the physical media people. Just my take!) the time is right to rank the 11 villains that have bedeviled Spidey on the big screen since his film debut in 2002’s Sam Raimi movie. This list covers the Raimi films, the Webb films, and HOMECOMING. CAPTAIN AMERICA: CIVIL WAR is omitted due to the Wallcrawler never tangling with Helmut Zemo and the fact that all the heroes were wrong in their own ways. 11.) 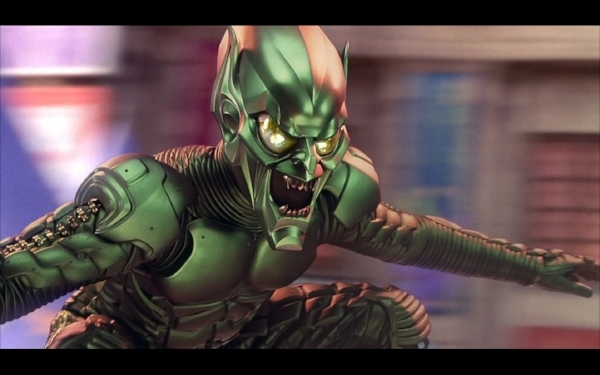 Green Goblin (AMAZING SPIDER-MAN 2)- The design is bad, the acting is worse. I actually kind of like Dehaan as Harry, there are moments you can feel the connection between he and Peter and kind of imagine the friendship that could have been. But anytime Dehaan interacts with Spider-Man, be it as Harry or as Goblin, the character falls apart like wet paper towel. 10.) 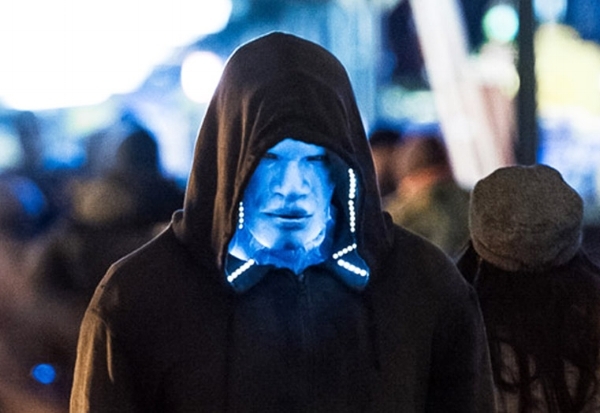 Electro (AMAZING SPIDER-MAN 2)- A kind of neat design—although by no means representative of Electro’s comics look—is about all the compliments I can swing for Jamie Foxx’s nerd turned living live wire villain. Besides being a less interesting version of Jim Carrey’s Riddler, Electro is burdened with some fairly terrible score choices (a dubstep “Itst Bitsy Spider,” that electric “They Hate Me” chant song) and a voice modulator that feels silly not scary. 9.) 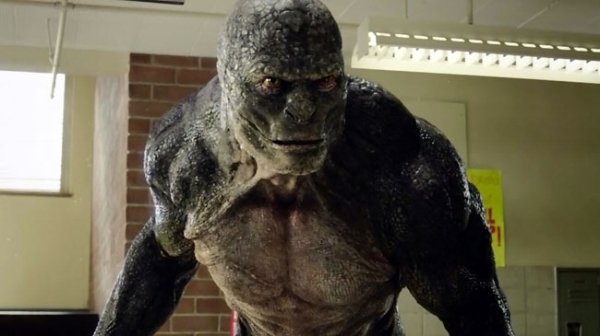 The Lizard (AMAZING SPIDER-MAN)- Rhys Ifan felt like a promising choice and he does connect as the basically decent but with a bit of darkness boiling beneath Dr. Curt Connors. However, the change to Lizard robs the character of any personality and, once more, the villain form fails to be scary. 8.) The Tinkerer (SPIDER-MAN: HOMECOMING)- No meat on them bones. Fun but inconsequential. Plus he and ol Webhead never interact. 7.) Venom (SPIDER-MAN 3)- I thought Raimi’s decision to make Venom a full mirror of Peter Parker—glib where Peter was thoughtful, short-sighted where Peter was obsessed with consequences, superficially charismatic where Peter had depth and sincerity—was an interesting choice and Topher Grace was well-cast as that doppelganger. Unfortunately, SPIDER-MAN 3 has too much going on and too little time and everything about Venom feels rushed and incomplete. 6.) “New” Goblin (SPIDER-MAN, SPIDER-MAN 2, SPIDER-MAN 3, only as New Goblin in 3)- James Franco’s Harry Osborn, for my money, was actually a pretty excellent character. A trying to be good guy undone by a combination of selfishness, lousy parenting, an inferiority complex, and tragedy, his ascension to Goblin-hood seemed like a slam dunk. Unfortunately, SPIDER-MAN 3 was saddled with too many villains and all of that got short-shrift, including Harry. And yet, he’s given so many beats to play: angry, amnesiac, angry again, regretful, sacrificial scapegoat. With so many quick changes, we never get a feel for the full villain Harry and he seems like a footnote in the chaotic conclusion of the movie. 5.) 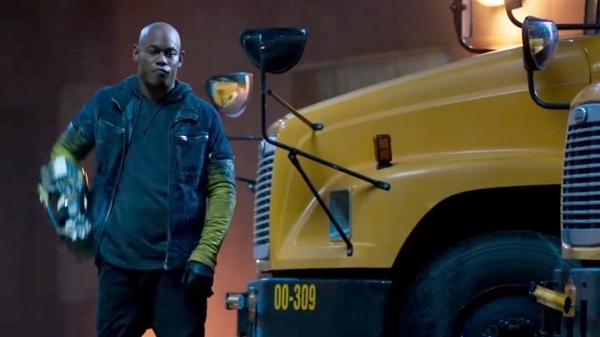 The Shocker (SPIDER-MAN: HOMECOMING)- I want so desperately to put him higher given my love for the comic book version and both Logan Marshall-Green and Bokeem Woodbine are good as him. But ultimately, he is little more than a henchman with one big moment given over to each incarnation. 4.) 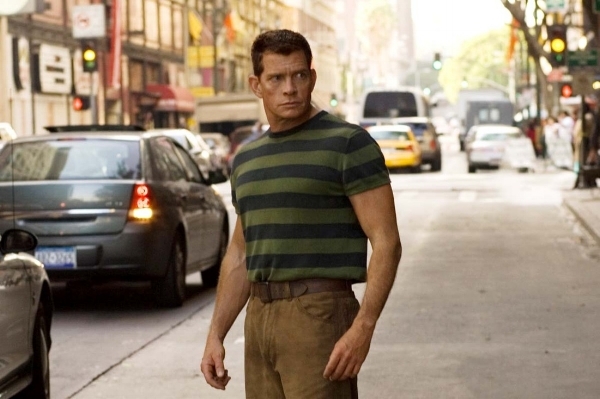 Sandman (SPIDER-MAN 3)- Like the other villains in Raimi’s third installment, Thomas Hayden Church’s Flint Marko does not have much time to make an impression. Despite this—and the dumb decision to make Marko involved in Uncle Ben’s death—Church finds the broken soulfulness of the character. His transformation sequence, as well, is a thing of beauty. 3.) Green Goblin (SPIDER-MAN)- Yes, the costume is not great. But every moment Dafoe is on-screen he is a scary, arrogant delight. His subtle (and post-Goblin serum, not so subtle) put-downs of Harry, his genuine appreciation of Peter, his unraveling sanity…Dafoe makes it all work. I wish they had gone with the scarier closer to comic book version of the mask, I think that legitimately would have made a huge difference. Still a great performance trumps a bad costume every time. 2.) 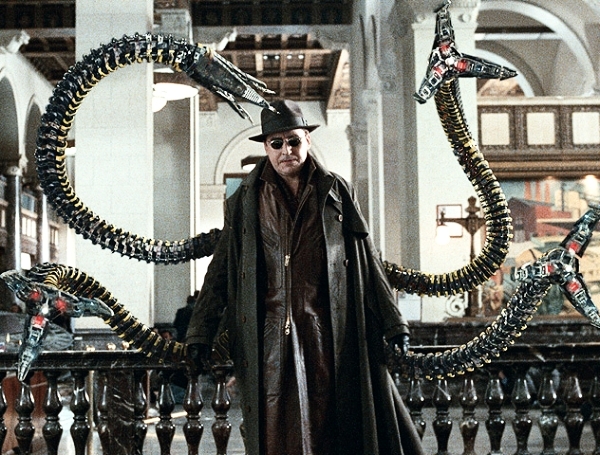 Doctor Octopus (SPIDER-MAN 2)- Speaking of depicting unraveling sanity, Alfred Molina gives us a master class on balancing a brilliant man losing his sense of self and an excellent actor chewing scenery gloriously. The emotional depth of the relationship between Doctor Octavius and his wife and Doctor Octavius and Peter prior to the accident that births Doc Ock serves to make every car and punch thrown all the more resonant. 1.) 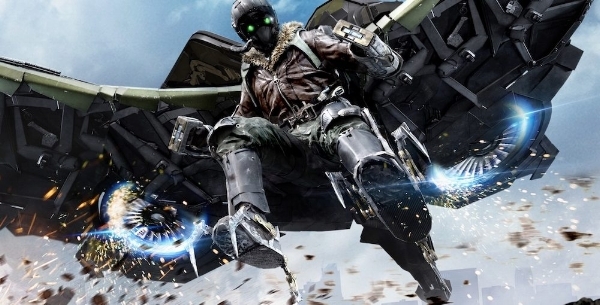 The Vulture (SPIDER-MAN: HOMECOMING)- Perhaps it is recency bias or my existing love for Michael Keaton, but after a lot of thought, I had to put Vulture here. 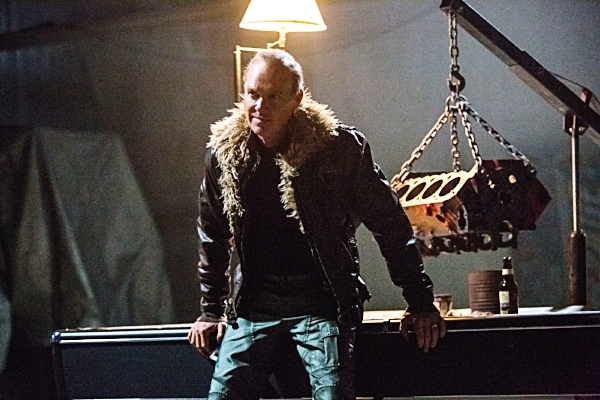 There is just so much nuance to Keaton’s performance as Adrian Toomes/Vulture that none of his various roles feel “false.” He is a beleaguered working man at the start of the film, he is a “have” who cannot stop seeing himself as a “have-not” despite his incredible home and his luxury car when we encounter him after the film’s prologue. He is a decent and caring family man and a guy ruthless enough to threaten a teen with a gun and mean it. And he does have enough honorability in him, in the end, not to reveal Parker’s identity to the man who will, hopefully, soon be The Scorpion. The character is layered and complex and Keaton delights in bringing each of those shades into the light (to mix/destroy metaphors).